Rubi 22mm Extreme Long-Life Scoring Wheel - ONLY £17.99 (+VAT) - SAVE £1! 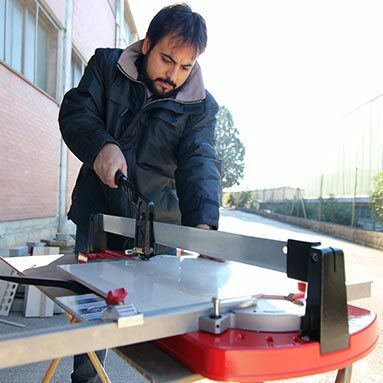 Rubi TP-75-S manual tile cutter. 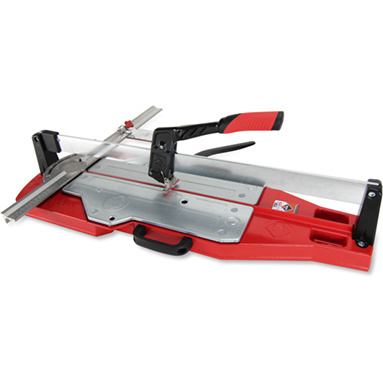 New and improved version of the popular Rubi TI-75-S tile cutter. Ideal for cutting porcelain tiles and intensive cutting of ceramic tiles. Single guide rail with multi-point breaker and angular measurement. Single guide rail is highly resistant to impact - for longer life. Ergonomic Rubiflex handle with incorporated separator - for greater speed and ease of use. Cuts "forwards" with "push" action. Lateral stop for accurate repetitive cuts. Base accessory for large formats. Maximum cutting length: 75cm (29 17/32"). Maximum diagonal cut: 53x53cm (20 7/8x20 7/8"). With 2 years warranty - extended to 5 years for Rubi Club members (free membership at Rubi.com).